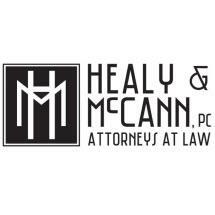 People in Albany, Oregon, who need representation for issues related to visitation, custody and divorce get skilled, high-quality and experienced legal services from us at the law office of Healy & McCann, PC. Since 1948, we have helped families settle complex legal matters as we protect their rights and best interests during highly emotional, tense times. • Civil litigation: Our clients include those in the trucking, agriculture and construction industries. • Personal injury law: From wrongful death to catastrophic injuries caused by car accidents, we have represented clients in personal injury cases for over 60 combined years. • Real estate law: We handle legal matters involving commercial leases, boundary disputes, real estate purchases, and sales and eminent domain proceedings. • Business and corporate law: Our clients include small/midsized businesses and entrepreneurs, and we manage entity formations, business succession planning, LLC member and shareholder disputes, mergers and acquisitions, and contract negotiation and drafting. We are associated with the Oregon Trial Lawyers Association, the American Academy of Matrimonial Lawyers and the Oregon State Bar Association. As a full-service firm, we promise our clients attentive service, access to their attorney when they need it and a commitment to getting successful results. At the law office of Healy & McCann, PC, we are happy to accept credit card payments from our clients when extra flexibility is needed. Our experience allows us to feel confident as we represent both individuals and organizations with their legal needs.